Keep accurate records of your vessels’ off-hires, charterer claims and related costs. Stay informed about the causes of individual off-hires and react swiftly. Automated KPIs and reports make vessel availability clear, demonstrate performance and help you recognise where you need to take action. 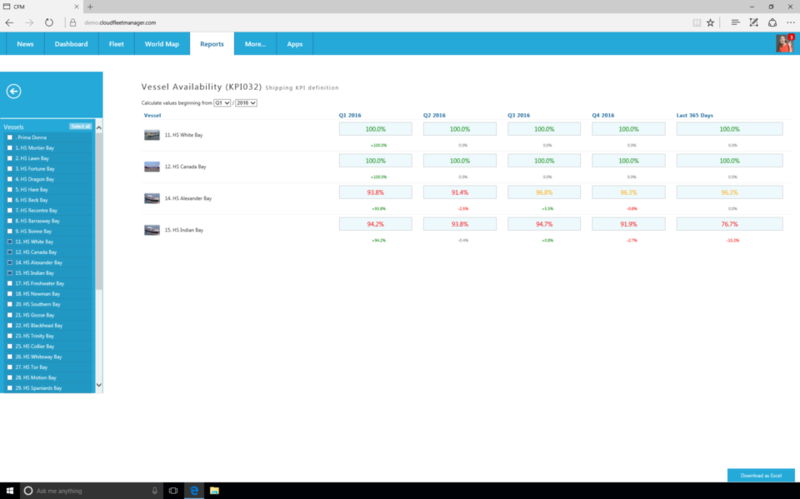 Using Cloud Ship Manager, all data can be directly entered on board. The defined KPI “Vessel Availability” enables you to validate your performance and to recognise, where demand for action is required. 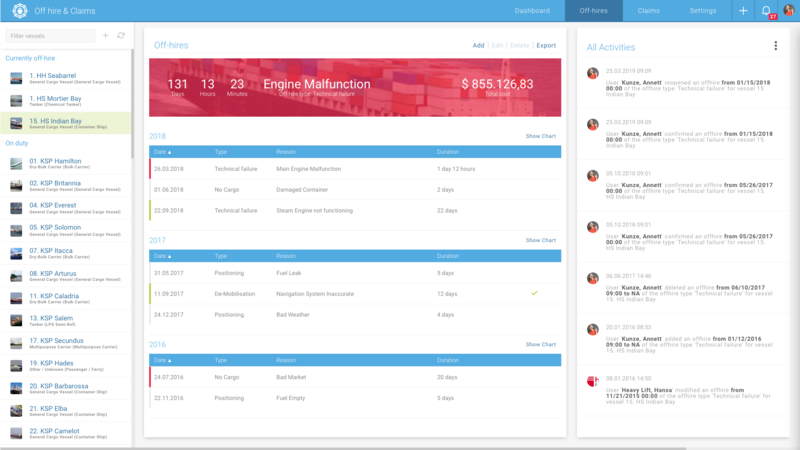 CFM Off-hires & Claims module gives you an overview of which vessels are currently off-hire, why they are and which costs are caused by this. All off-hires and claims are accurately documented. Data is integrated into other modules: Portal, Partner Portal, World Map and CSM. Additional information about past and pending off-hires. KPIs help to draw comparisons and to initiate improvement actions. Curious to learn more about Offhire & Claims?